The Fall semester is here! Studying, homework, test, and essays, are back on the agenda. The good news is that some of your favorite shows are returning and new shows are premiering to give you a break from schoolwork. Here are some of the top shows returning for a new season and some shows that are premiering for the first time. Mayim Bialik and Jim Parsons in The Big Bang Theory. The Big Bang Theory has been around since 2007. Sadly, CBS has reported this will be the shows last season. However, its Spin-off, Young Sheldon, will still go on. The final season will premiere on September 24th. Kristen Bell and William Jackson Harper in The Good Place. The Good Place, starring Kristen Bell and Ted Danson, focuses on Eleanor Shellstrop and her efforts to try and be a good person to stay in the good place. The 3rd season premieres September 27th. 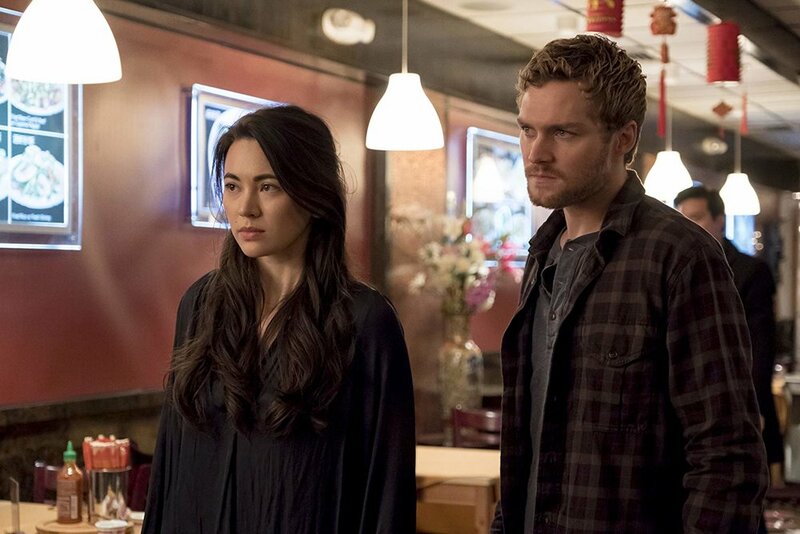 Jessica Henwick and Finn Jones in Iron Fist. A new Netflix show to look out for is called Maniac, starring Emma Stone and Jonah Hill. The two characters are involved in a pharmaceutical experiment that goes awry. Check this one out when it comes to Netflix on September 21st. Melonie Diaz, Madeleine Mantock, and Sarah Jeffrey in Charmed. The CW network is currently stock full of supernatural shows. But the one that interested me most is the remake of an old favorite, Charmed. The original tells a story of three sisters discovering they’re the most powerful witches of all time. They lead normal lives while at the same time fighting of demons and supernatural creatures. I’m excited to compare this new series to the old when it premieres October 14th right after the premiere of Supergirl.